After one week of being sick followed by another week of ending up in bed by 8.30pm at the latest, I feel that I am back on the road to recovery. Milestones in that road are measured by the number of cough drops or tissues needed to get me through the day. I’ve hardly a use for any, which is much better than my box per day average a few weeks ago. This cold weather does much to show all the outside air making its way in to our house through various means. Pete has done a lot to insulate the house, but our windows are the kind with weight pockets, which just seem to be an invitation for chilly air to enter our home at will. 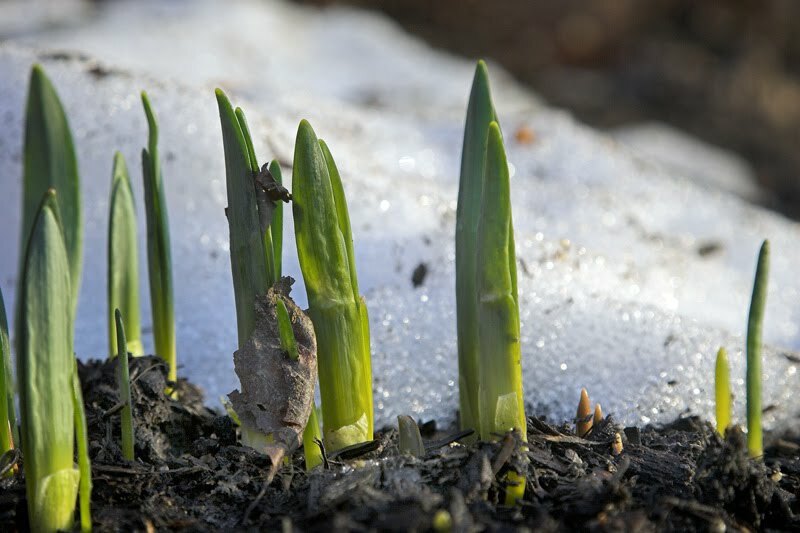 A while ago, when it was much warmer, I went outside to look at the garden to see if anything was popping from the many flower bulbs we have around. There were some sprouts, but I am thinking that the little bulbs that have stuck their tiny green fingers through the soil were wishing for some mittens! I hope they haven’t been damaged too much by the snow and freezing temperatures. I read an article in the January-February 2012 edition of Ohio State’s alumni magazine about our aging forests in the Upper Great Lakes region. These forests remove tons of carbon from the air. But as these forests get older, Ohio State scientists are studying how the new trees are doing at handling the job of removing carbon. Seems these new additions are doing a great job, being more diverse and complex. You can read more here about the forests. Speaking of Ohio State, the Ohio Agricultural Research and Development Center (OARDC) in Wooster has been working on creating a hybrid ash tree that isn’t as tasty to the emerald ash borer. If I got the science down right, there are proteins in some Asian ash trees that aren’t tolerated by the emerald ash borer. Scientists are trying to pull out the DNA from those proteins to find the toxins that are repellent to ash borers. From there, a hybrid tree could possibly be created that has that specific DNA and toxins. Hopefully, a tree that looks like our North American ash tree and can also withstand the emerald ash borer is in the works. I’m not certain how I feel about a hybrid ash tree, but if that seems to be the only way to keep ash trees in Ohio, then so be it. 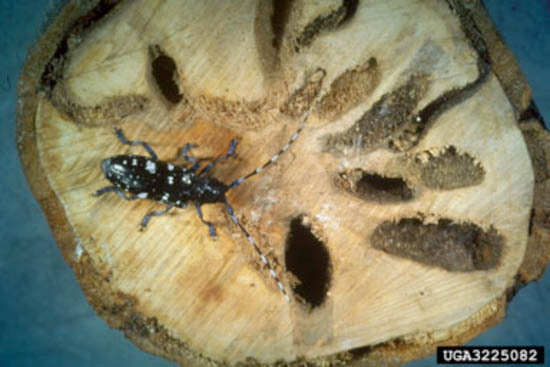 Another insect that is now in Ohio is the Asian longhorned beetle. This little creature in not picky at all about which trees it likes to attack. It will eat ash, birch, elm, hackberry, poplar and willow, to name a few. The worst part about this insect is it attacks healthy trees, unlike native beetles that feed on dead and dying trees. Maples seem to be this beetles’ favorite snack. Look for deep exit holes in healthy trees about the size of a dime. 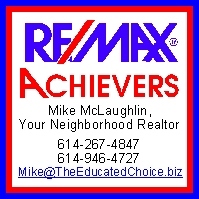 The Ohio Department of Agriculture has a number homeowners can call is they suspect an infected tree: 513/381-7180. There is also information on ODA’s website. This entry was posted in General Information and tagged ash trees, Asian longhorned beetle, emerald ash borer, Great Lakes forests. Bookmark the permalink.